Investments in material handling equipment in the United States are expected to grow from 3% to 8% over the next four quarters, a new report by the Equipment Leasing & Finance Foundation and Keybridge Research released Monday said. Material handling equipment investments were up by 0.9% annual rate in Q3 2016, and registered a 4.5% lift year-over-year. According to the organization’s Materials Handling Momentum Index, stable growth is projected in material handling equipment investments over the coming two quarters. While equipment and software investments as a whole slumped by an estimated -1.1% in 2016 – markedly worse than 2015’s 4.2% growth rate – the foundation said 2017 offers renewed prospects for growth of investments in equipment and software across a variety of applications and industries. “After a dismal 2016, equipment and software investment is finally on track to improve in 2017. While persistent global headwinds and policy uncertainty are ongoing concerns, the U.S. economy’s fundamentals are generally solid, and rising business confidence should lead to increased investment next year,” a press release by the foundation said. Researchers predict that the American economy will grow by 2.7% in 2017, with a 3.0% rise in equipment and software investments. The poor figures in 2016 were a result of issues in the energy, manufacturing, and export sectors throughout the year, the foundation said. Over the next four quarters, investment in trucks is anticipated to accelerate by 8% to 15%; railroad equipment by 0 to 12%; software by 5% to 10%. 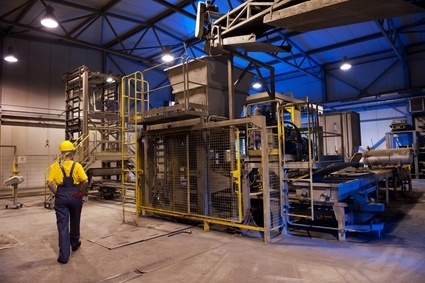 Other industrial equipment will grow from 2% to 8%, according to the researchers.